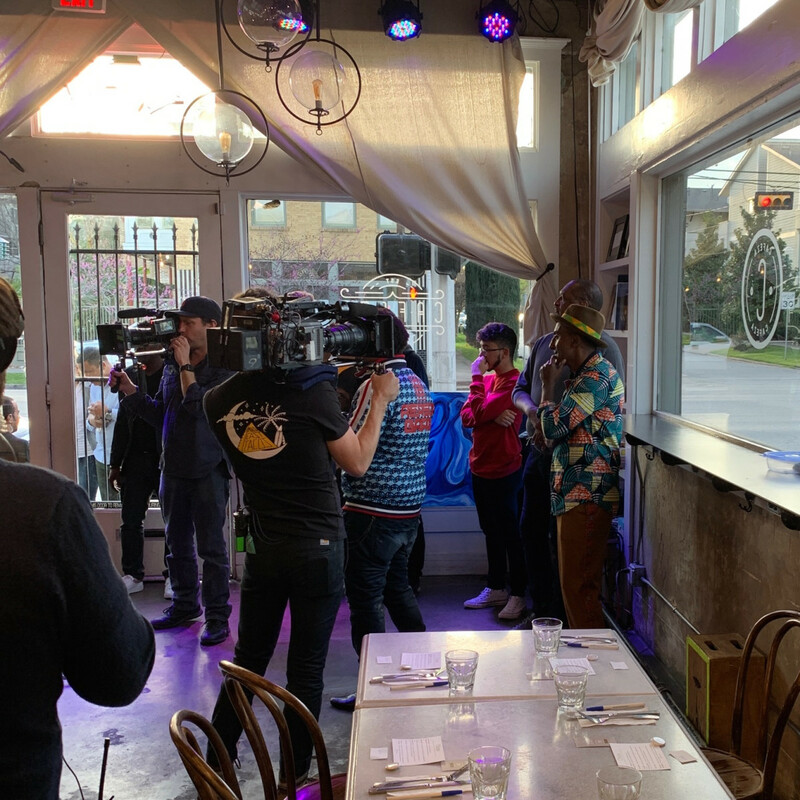 Chef Marcus Samuelsson spent this past weekend in Houston filming for his PBS reality series No Passport Required. 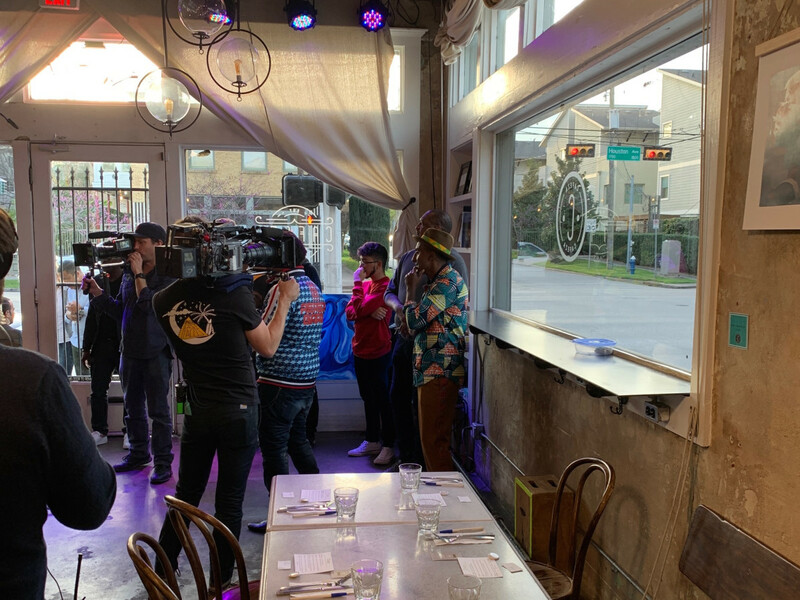 Slated to air later this year, the episode will focus on Houston’s West African community and its rapidly growing presence on Houston’s culinary scene. Houston will be one of six cities featured in season two. The show will also cover Filipino food in Seattle, Italian food in Philadelphia, Armenian food in Los Angeles, Chinese food in Las Vegas, and Brazilian and Portugese food in Boston. 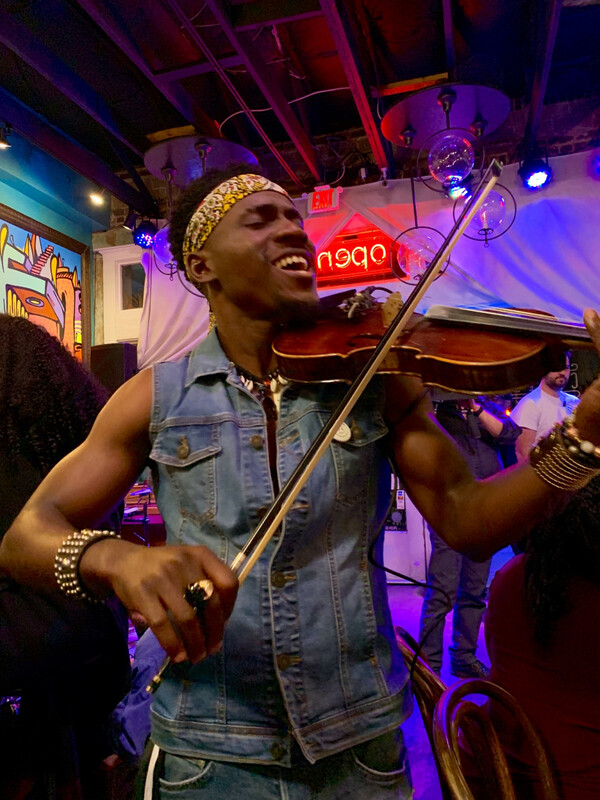 Samuelsson tells CultureMap that he visited a few spots in Houston to complete his tour, including Safari, the Nigerian restaurant that’s operated in southwest Houston for 30 years. He also dined at The Pass; chef-owners Seth Siegel-Gardner and Terrence Gallivan worked for the chef prior to moving to Houston. To put a finishing touch on the episode, the show’s producers arranged for a special dinner at Cafeza, the popular cafe in First Ward. 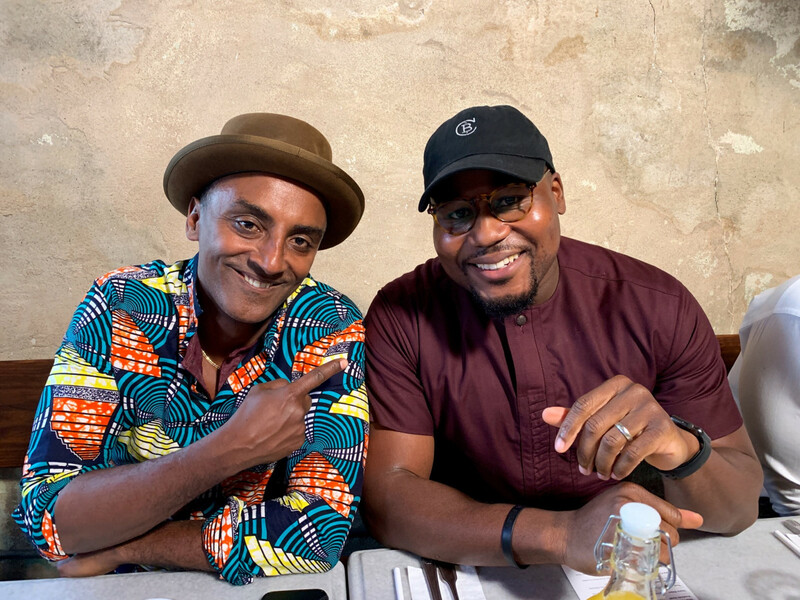 Over a meal catered by Chòp n Blọk, the West African-inspired pop up series, Samuelsson led a conversation with a group of people with West African heritage — including Chòp n Blọk founder Ope Amosu, NFL player Fendi Onobun, Aces of Taste founder Ahrif Sarum, and local musician Demola — about the challenges of growing up Nigerian in America, the evolution of Houston’s food scene, Hakeem Olajuwon as a role model, and more. Depending on what makes the final cut, viewers may also catch a glimpse or two of an opinionated food writer. After dinner, and a brief performance by Demola, Samuelsson sat down for an interview about the show, his perspective on Houston, and what he thought of the meal he ate that night. CultureMap: Why did you decide to come to Houston for an episode of the show? 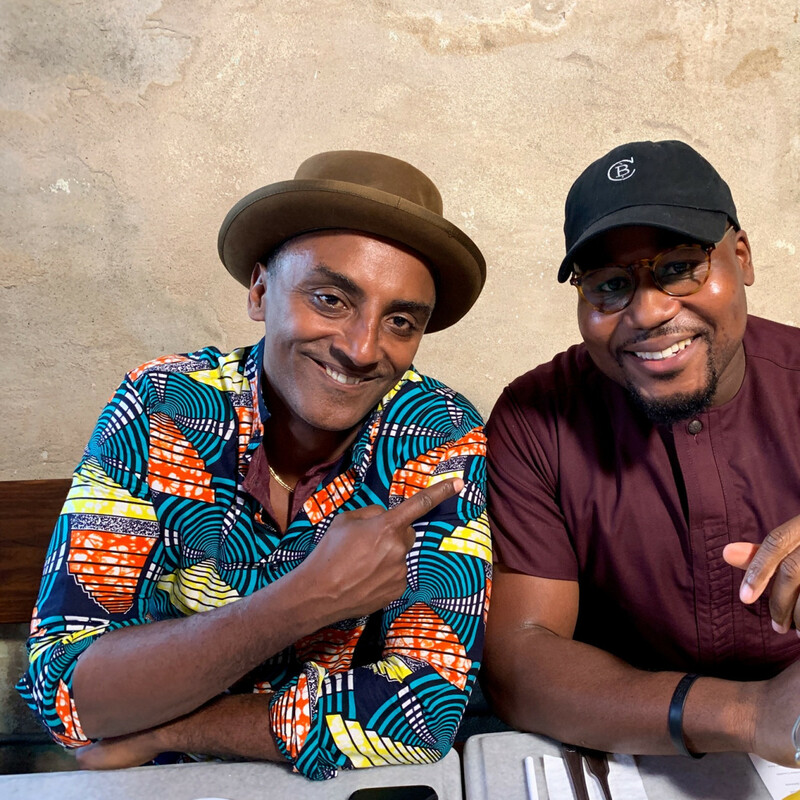 Marcus Samuelsson: When we started to think about the show, Houston was always on it, because we wanted to think about cities that are iconic to America for different reasons, and also diversity wasn’t forced. We wanted a place that maybe people would be surprised [by]. Houston and Vietnamese was always there, but then when we did Vietnamese in Nola, well, can’t do it. Plus, they’re too close to each other, right? We decided to [include Houston in] season two. Houston fits on so many different levels. To the world and to America, I don’t think Houston gets enough credit for its diversity. You know it, and you take it for granted. It might not be the first thing people think about Texas. I’m happy that we can show real America this is what it is. CM: Where else are you going in Houston? MS: What’s exciting about Houston, it will be an incredible program, because it’s not all in four walls restaurants. We’re catching the pop-up scene, someone like Ope. We’re also catching Safari that has been doing it for 30 years. It will be all about food, but it won’t be all about restaurants. Because some of those restaurants aren’t here yet. 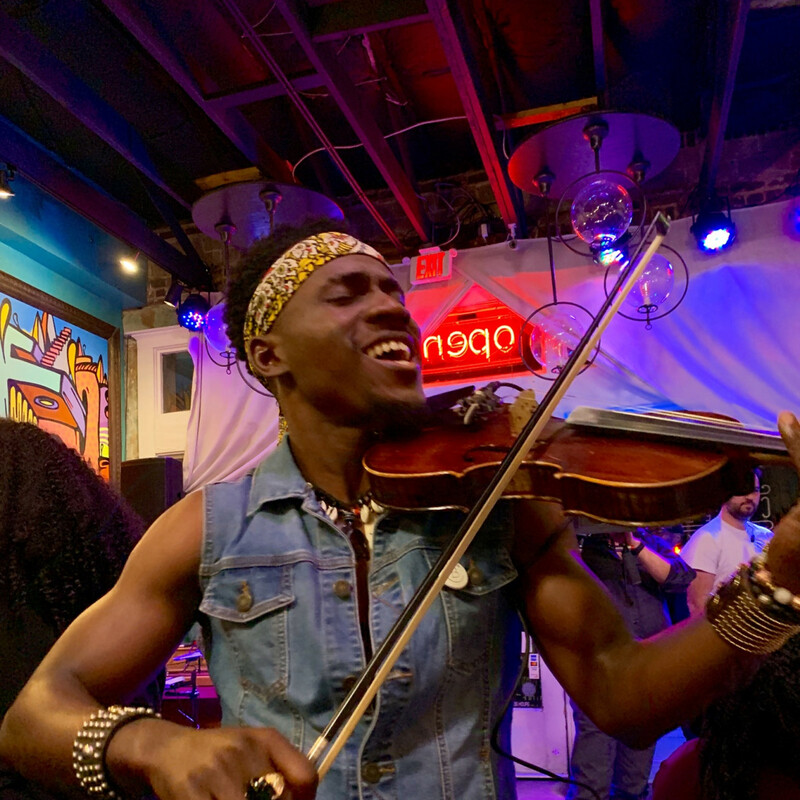 That’s what’s exciting is catching this moment between immigrants who are not going to give up on a dream, ‘I might have a day job, but I’m still finding an audience.’ That’s an American phenomenon to me. I’m not stopping. CM: You’ve visited Houston many times because of your relationship with Seth and Terrence. How have you seen it change over the years? MS: I think two things have happened. Because of the internet, people can tell stories from their restaurant in real time. Houston has been coming up as a food city for the last four or five years, just because the gatekeepers are less. 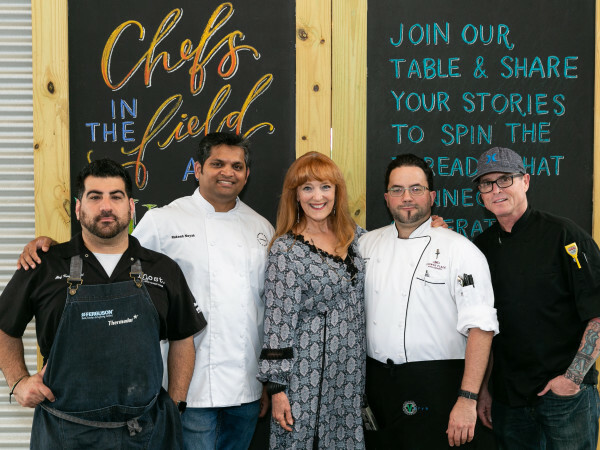 At the same time, the Houston food scene has evolved. Yes, it’s Vietnamese, but it’s a lot of guys like Seth and Terrence. Worked in New York, worked in Chicago, and then specifically wanted to come home. You need major chefs to put it on the map, and then you need that underground belly, to realize that they need to cook, and it needs to be really, really good. We talked about that before. You need local staples, too. I remember speaking to Monica [Pope] maybe 10 years ago now. We talked about farm-to-table Texas style. What does that mean? Do you have four seasons? I asked very basic questions. She told me, you’re not on an East Coast clock. Of course, you’re not. Why should you be? It’s not these four distinct seasons; therefore, you can grow in a different pattern. She’s the one that unpacked that for me. It’s, like, wow. CM: What did you think of dinner tonight? MS: It was great. Part is the energy. Part is they’re not shying away from ethnic. They’re not putting Sriracha on that. They’re really staying with what it is. That crab fritter, I’ve had it 50 times in Africa. It tastes like that. The bun was different. That road snack with the steak; that was exactly the way you’d get it at a bus stop or a train stop in Africa. It’s different kinds of meat — don’t ask what cut — chopped up, with some spice on it. I love the fact that they’re not trying to give it to you through this Western lens. This is how uncle and auntie would eat it, here it is. There’s something unapologetic about that. I really love. That’s the way all immigrant cultures should be. We’re here. We welcome you to it. If you don’t get it, it’s on you. CM: Do you think he can turn this pop-up into a successful business? MS: I would never bet against a young, hard-working kid like Ope. He has a day job, and he’s driving. He’s doing it, he’s connecting with his community. If he only does Nigerian weddings, he has a business right there. But he wants more. I think he’ll do really well with it. Absolutely. This is already connecting that first base of, who can do it with me. He’s learning from every pop-up what to do better for next time. That’s also a really good way to open a restaurant, because you get the back and forth. I remember when Seth opened. There were a lot of small dinners he did. It happens on every level. I would not bet against Ope. Portions of this interview have been edited for length and clarity.